WREXHAM, United Kingdom: Wales needed a stoppage-time goal from Liverpool teenager Ben Woodburn to beat Trinidad and Tobago 1-0 in friendly on Wednesday after Ryan Giggs left Gareth Bale out of the home side in Wrexham. Bale was one of several players, including Aaron Ramsey and David Brooks, omitted by Wales manager Giggs just days before the team begin their Euro 2020 qualifying campaign against Slovakia in Cardiff on Sunday. Trinidad and Tobago are ranked 93rd in the world – 74 places lower than Wales – yet it seemed they might be rewarded with a highly creditable draw at a Racecourse Ground where their manager, Dennis Lawrence, played for Wrexham. The last match between the two countries had seen Bale become Wales’ youngest player at 16 years and 315 days in a victory over Trinidad in Austria in a 2006 friendly. Bale was not even on the bench on Wednesday, with Giggs protecting his star player ahead of Sunday’s match. Trinidad nearly took the lead when Aubrey David’s shot was cleared off the line by Chris Gunter. 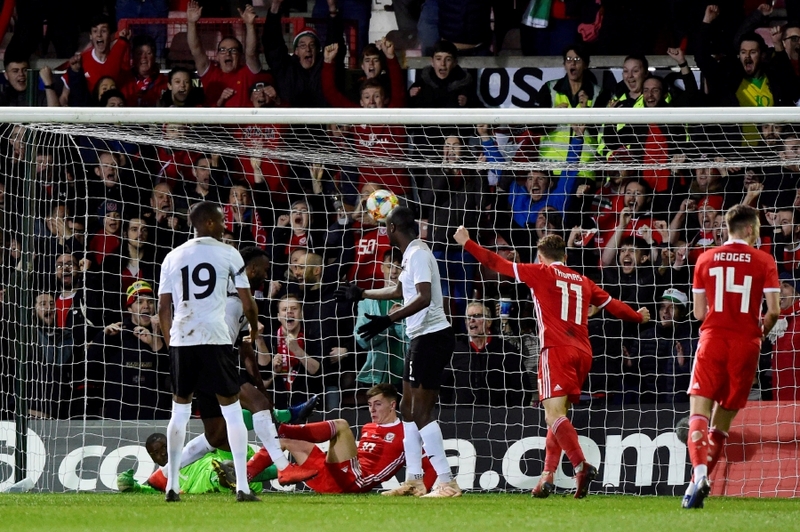 But the second minute of stoppage time produced the lone goal when Woodburn chested in a Will Vaulks cross. Bale, Wales’ record goalscorer, completed 90 minutes for the first time in 2019 on Saturday and scored as Spanish giants Real Madrid beat Celta Vigo 2-0 in La Liga. “We all know what a talent he is, and if he plays games he’ll score goals,” said Manchester United great Giggs of Bale ahead of Wednesday’s match.